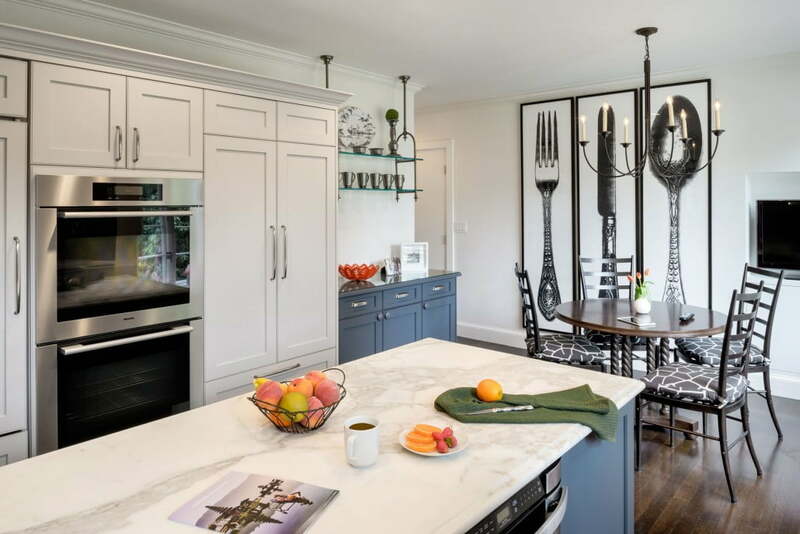 Removing a wall opened the kitchen into the dinette area. Caesarstone quartz countertops were used on the wall cabinets with a granite backsplash to highlight the wall cabinets. 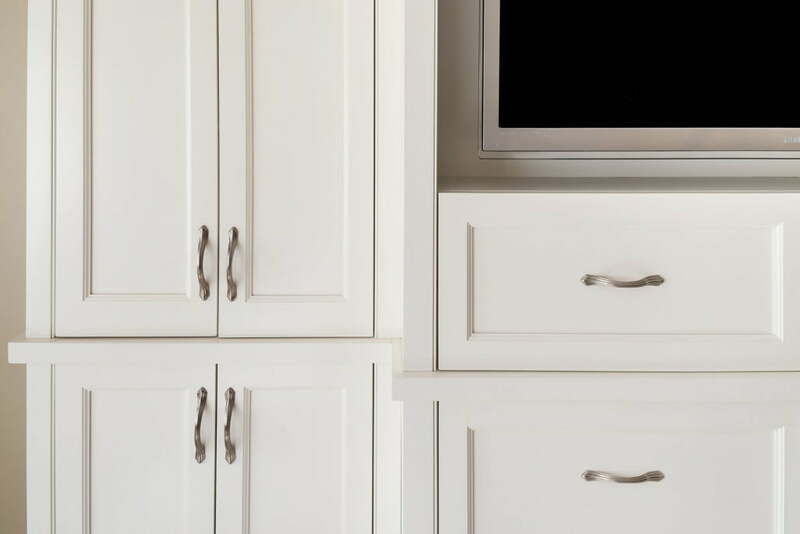 Removal of a built-in grill became a perfect spot to install a television. 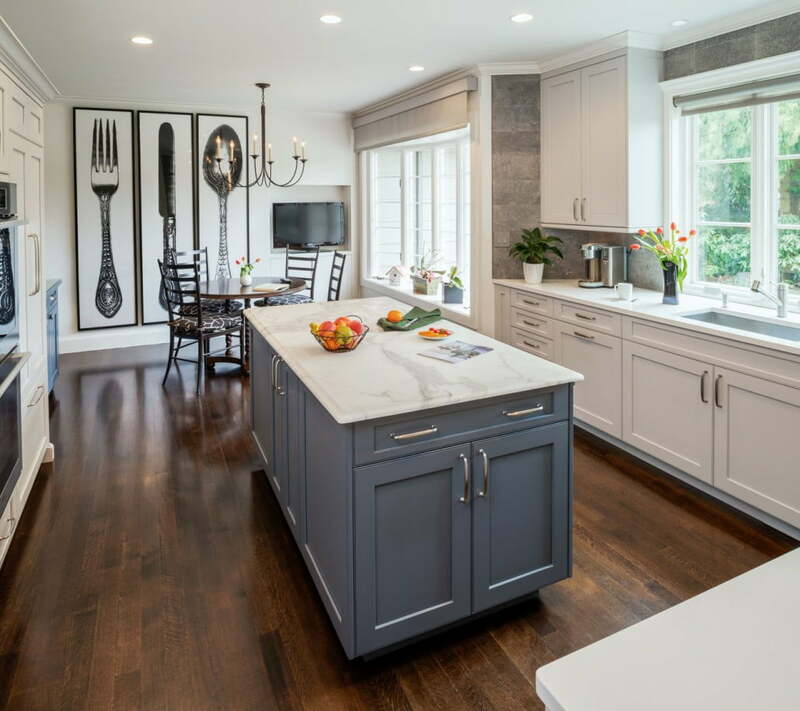 The Calcutta marble countertop on the custom paneled island and stainless steel appliances complete the new kitchen. New dark stained hardwood floors were installed throughout the first floor of the home. 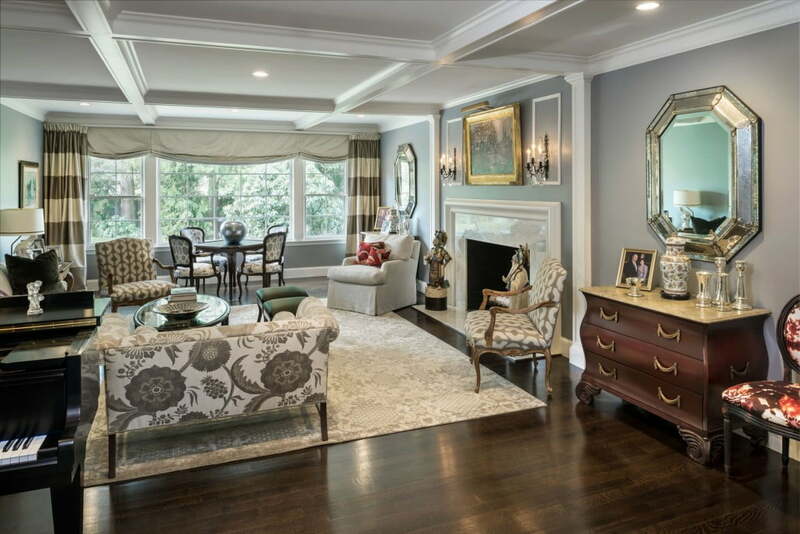 Custom columns applied to the wall set off the fireplace surround and anchor the new coffered ceiling which was created by installing beams to the ceiling. Picture moldings applied to the wall above the fireplace set off the lights. New custom baseboard was installed. 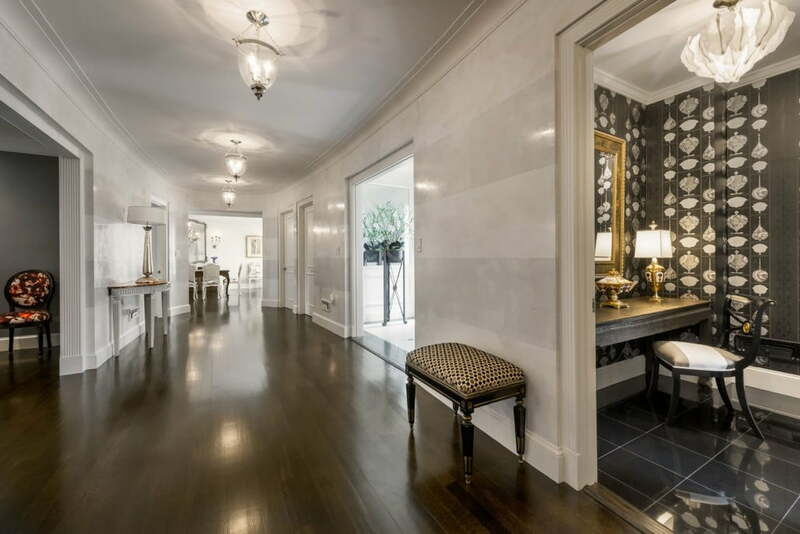 The powder room received new polished granite flooring. 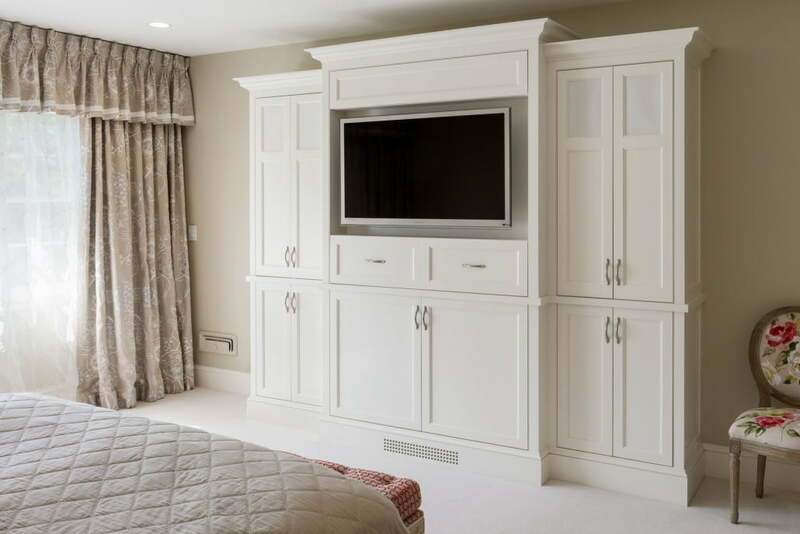 A custom storage unit houses the television in the master bedroom. Note the grill at the bottom of the cabinet allowing for ventilation. Note the simple lines of the custom storage unit. 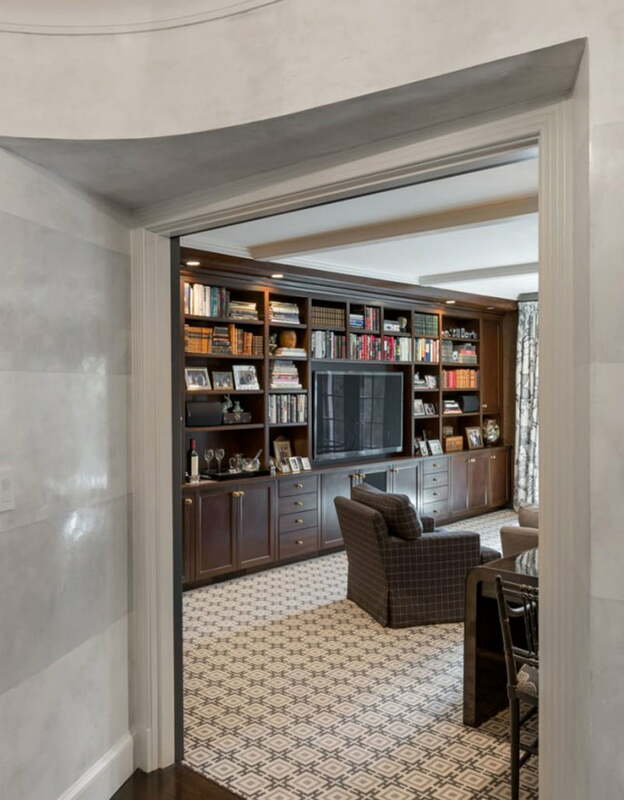 A 20’ custom built stained cherry cabinet with adjustable shelves houses a 60” television, home theater equipment, and a various selection of favorite books and family photos in the family room. A screen porch was removed from the back of the house and a new Pella French door installed to bring in natural light. Custom beams were applied to the ceiling. An addition on the home allowed for a large master bathroom. 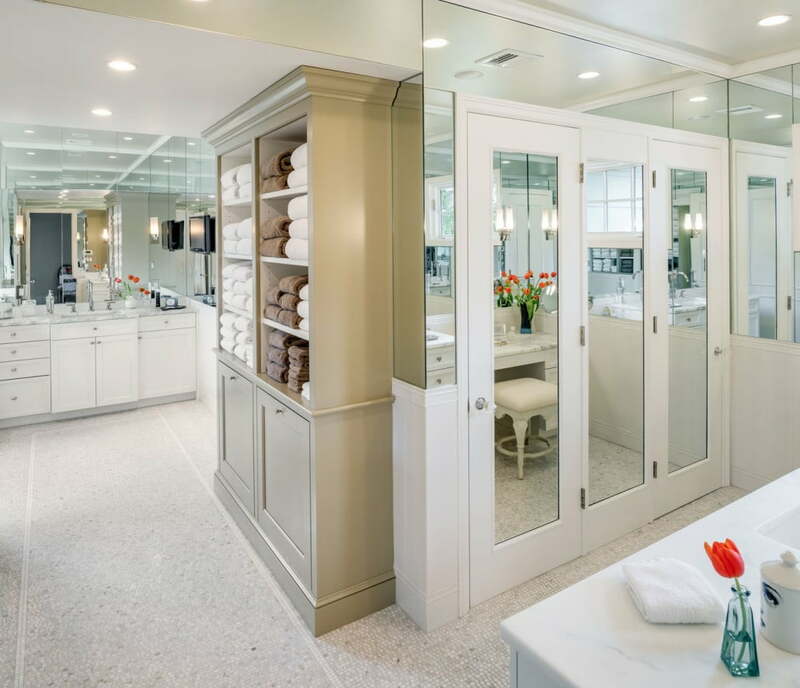 A darker painted open linen cabinet takes center stage in the mirrored, light filled bathroom. Glass enclosures house the soaking tub and large walk-in shower. The rain showerhead and custom shower niche can be seen in the mirror reflection. 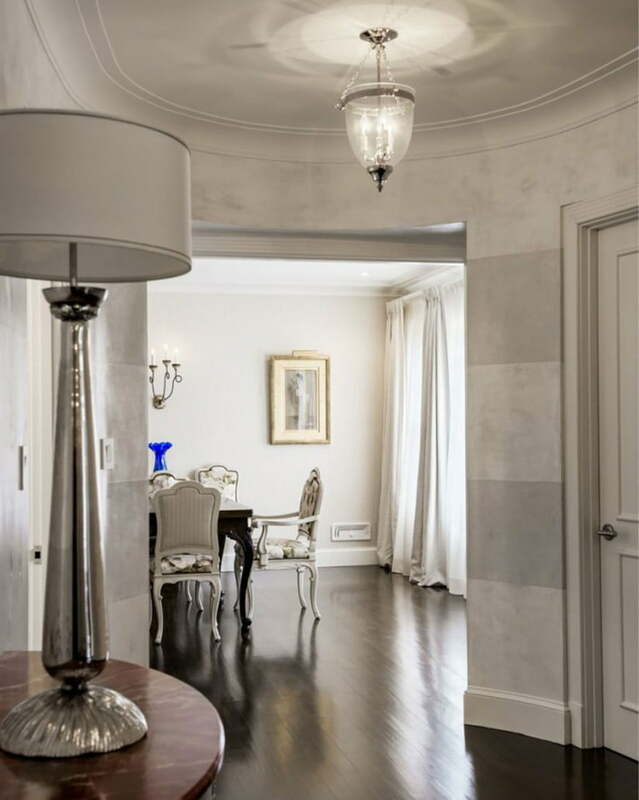 Recessed and sconces enhance the natural light from the windows. 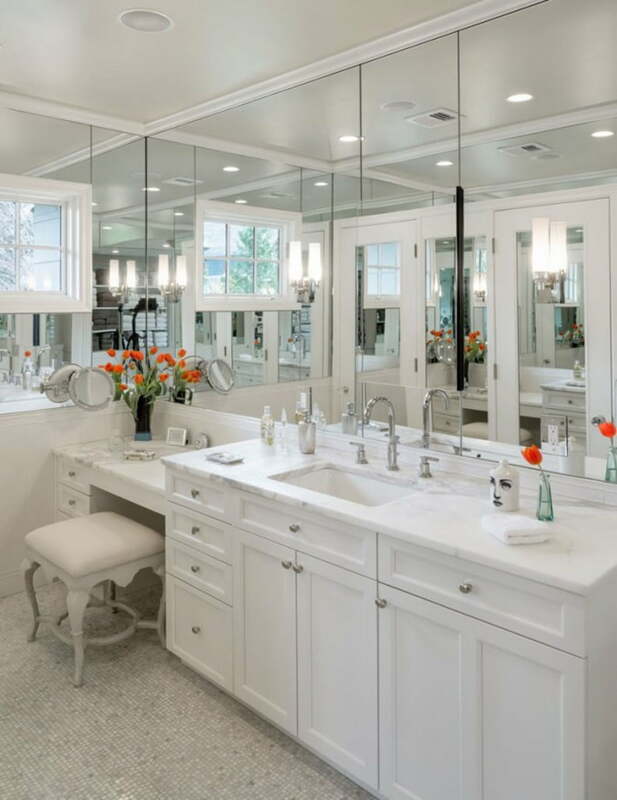 Calcutta marble tops and custom cabinets create a separate sink with make-up vanity area. Mirrors, mirrors everywhere! 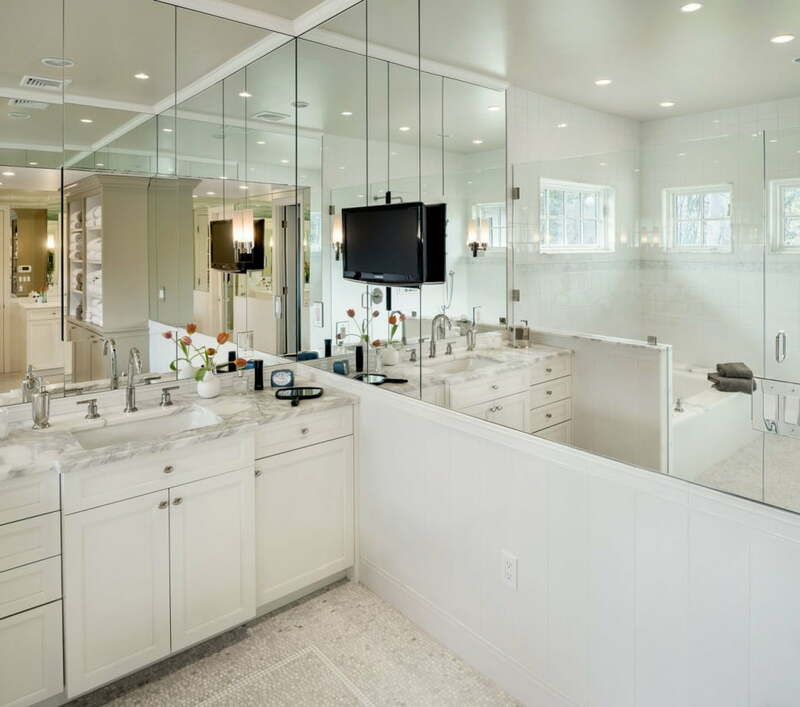 A recessed glass front medicine cabinet is barely visible above the sink. A wall mounted television completes the room!